Invoice of the product plays a vital role to prove your ownership, claim warranty and for various purposes. And if you have lost Invoice hard copy of the product it becomes difficult, but if you have shopped the product from Shopclues there is no need to worry. As you can easily download the Invoice of Shopclues Order by logging into your Shopclues Account and How to Download Invoice of Shopclues Order you will know by following below guide. 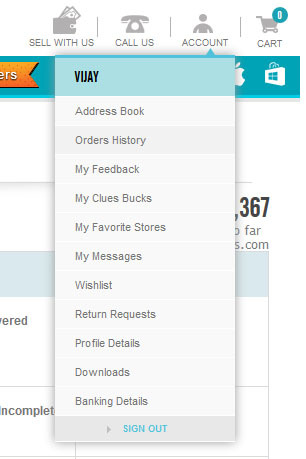 Just login into your Shopclues Account, and navigate to Orders History. Once you are on Orders History Page, it will display all orders. Just click on Order Number of the product of which you want the Invoice. On clicking the Order Number of the product it will redirect you to a new page where Order Information will be displayed. To get the Invoice of your product just click on print order details. 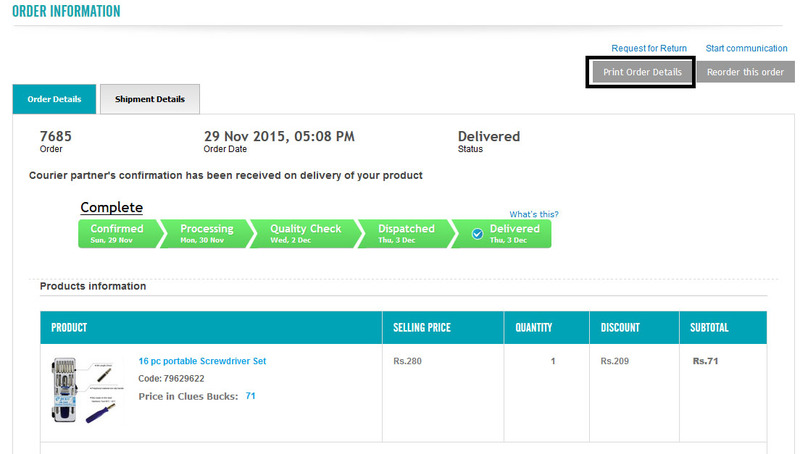 On clicking print order details a new window will pop up with your Shopclues Order Invoice of the product. You can take a print out of that Invoice or even you can save it on your Computer or Laptop for further viewing. That’s it this is how you can download Invoice of Shopclues Order. The thing you mentioned is not invoice. It is mandatory to mention invoice no. and TIN no. of seller on invoice. Both these are missing in order details. It can not be treated as invoice. I have been buying stuff from Shopclues but never received the invoice neither with order nor online.